This month in the Steller's Jay class, we are focusing on our Place-Based theme of transportation and infrastructure. Throughout the month we will explore the ideas of What is transportation? and How do we connect it to our lives? In our Dramatic Play center, children will take on pretend roles and situations while they explore our city bus. We will connect our Dramatic Play to the real world by watching the city bus go by outside our window, learning about the bus route maps, and going on a saunter to ride the city bus around the Lincolnwood loop. In the Block Center, children will share and respect the rights of others by using four long buses. Children will build buildings, arrange people and animals, and drive their buses around our Block Center. We will, at the end of the month, begin to explore sustainable transportation and connect all of the knowledge we have built to ways we can help our Earth. 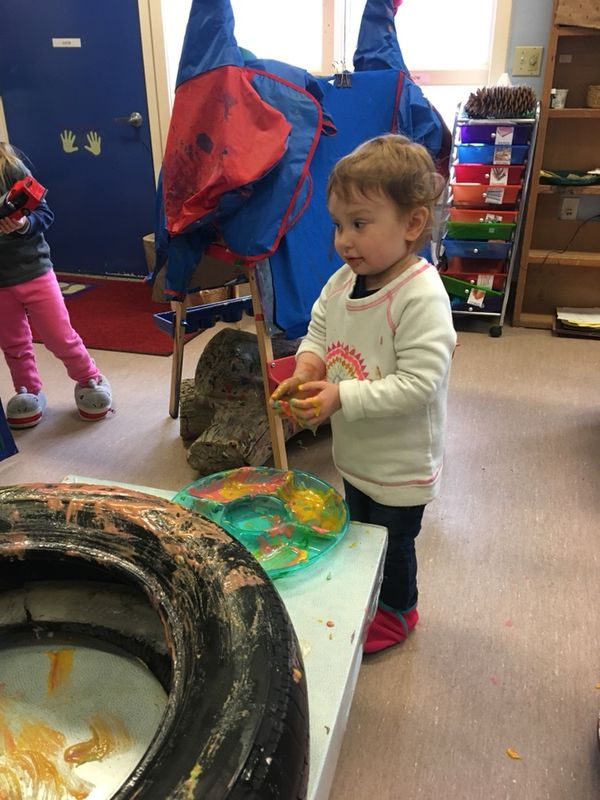 We are exploring big thoughts for 2 and 3 year old children and will learn concepts such as: applying knowledge and experience to a new context, exploring cause and effect, and playing cooperatively with others, all while PLAYING with various modes of transportation!